There are a handful of character types that tend to evoke a collective groan from most audiences. Being an ardent comic book fan, as well as a general fan of sci-fi, romance, and fantasy, I’ve listened to those groans and even contributed to them. At a time when it’s easier than ever to share opinions and/or voice frustration, these frustrating characters tend to be more vulnerable than ever. Chief among those groan-inducing characters is the dreaded Mary Sue. Chances are you’ve heard that cute little colloquialism after browsing gaming and sci-fi message boards for more than five minutes. Usually, it applies to a female character, but can just as easily fit apply to a male character as well, often in the form of the equally groan-inducing label of Gary Stu. Sometimes it’s a criticism of a character. Sometimes it’s a flat-out insult. In most cases, it rarely has a positive connotation. It’s for that reason that characters slapped with the Mary Sue label tend to be either controversial or destructive to an underlying narrative. Many writers, myself included, go out of their way to avoid crafting characters that might attract that label. I certainly made that effort when I wrote “Skin Deep” and “Passion Relapse.” I doubt I’m the only one who tries to avoid it. These days, though, there’s one particular character getting slapped with that label and it has been generating discussions for a couple years now. It comes from “Star Wars,” one of the biggest franchises in the history of modern fiction and one of many productive cash cows for Disney. The character in question is Rey and I know that discussions about her tend to bring out the dark side in any “Star Wars” fan. That said, I’m aware of the criticisms levied against her. She is very much at the center of an ongoing debate about female characters, in general, and what constitutes a Mary Sue. 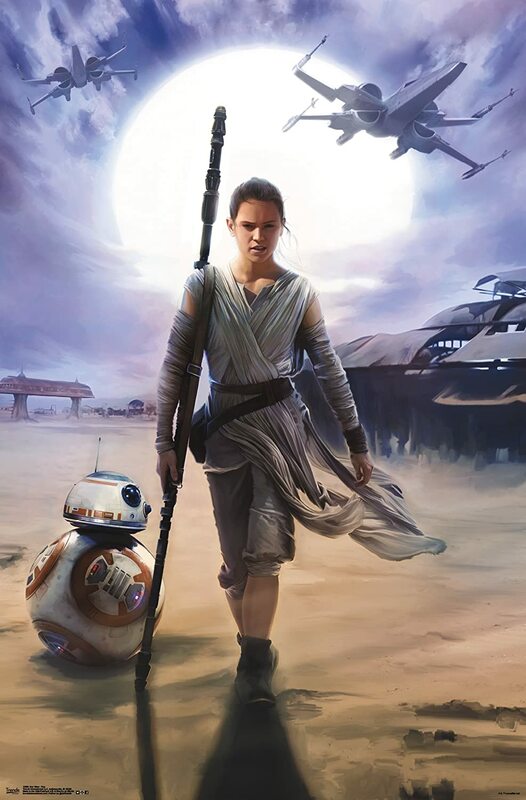 I tried to avoid those debates after “Star Wars: The Force Awakens,” but I feel comfortable entering the fray now after seeing Rey develop over the course of two movies. Again, these are just a few traits associated with a Mary Sue and there are likely more. There are far more thorough insights into the traits of a Mary Sue, one of which was done by the YouTube channel, Overly Sarcastic Production. After their wonderful breakdown of strong female characters, I would put their assessment far above my own. Whatever the criteria, the Mary Sue is such a fluid concept, which is part of why it’s such an empty criticism. However, it has become a more serious criticism and since it’s being applied to “Star Wars,” it’s definitely carries more weight than usual. With all that said, does Rey fit that criteria? Is it a valid criticism to call Rey a Mary Sue whose portrayal is weighing down the overall narrative of “Star Wars?” It’s a debate I’m sure will continue for quite some time, but here’s my definitive response, for what it’s worth. No. 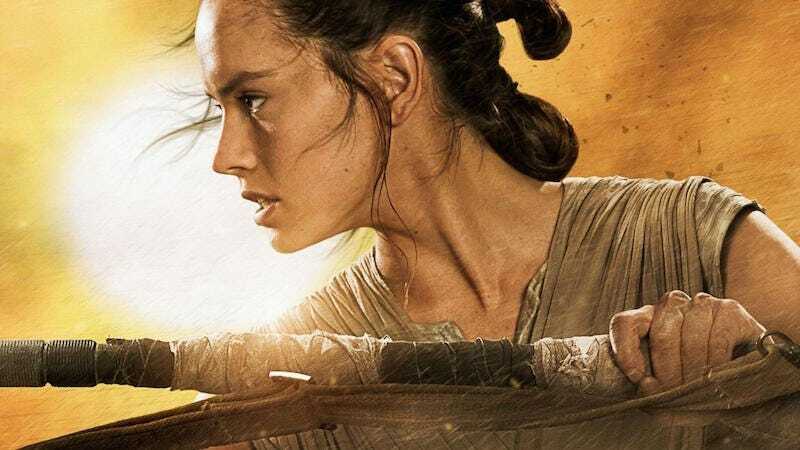 Rey is NOT a Mary Sue…for the most part. Now, I’m aware I’m being somewhat vague by adding that little caveat at the end. However, there’s a reason for that and I’m fairly confident that they qualify as reasons and not excuses. For one, Rey’s story is not complete. That much needs to be said from the beginning. It’s something that I find many debates involving Rey tend to overlook. Yes, her story is lagging a bit more than those of Luke, Leia, and Han Solo did in the original trilogy. There are other reasons for this, but they’re unrelated to the debate at hand. In terms of appearance, she comes off as someone who could put on a set of clothes from Wal-Mart, walk into a typical high school, and not generate much reaction. She doesn’t radiate the kind of beauty or royalty that often defines a Mary Sue. Even if she later proves to have a special destiny, that basically puts her in the same category as Luke Skywalker and every other legendary hero. In terms of personality, she’s not exactly gushing with love and likability, which is another key trait of the Mary Sue. In many respects, Rey is somewhat cold and detached when she first shows up. She doesn’t whine or lament about her less-than-extraordinary life, nor does she eagerly jump at the chance to join the resistance when she encounters Finn. Hers is a more complex journey. In terms of skill, this is where I think most of the Mary Sue accusations come from. I admit that I thought her excessive skill with the Force, flying the Millennium Falcon, and defeating Kylo Ren pushed the bounds of her character a bit too much. Even I was tempted to throw that label on her after seeing her accomplish so much with so little training. 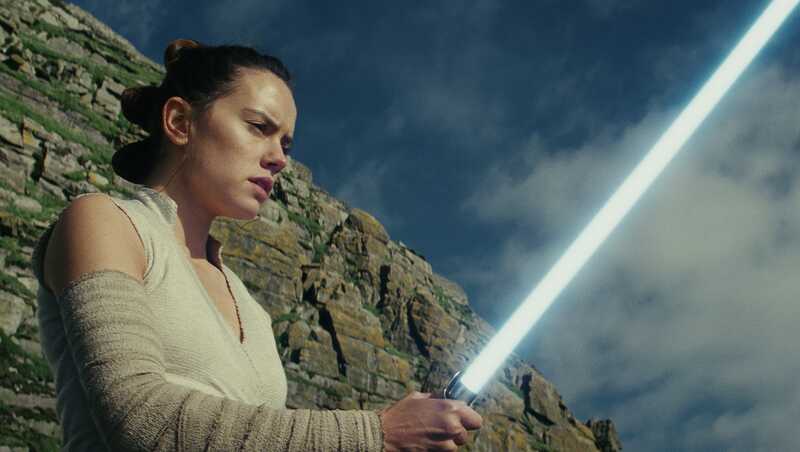 However, when I step back and look at the larger plot, as well as incorporate the events of “Star Wars: The Last Jedi,” I see that those traits aren’t enough to warrant calling her a Mary Sue. They are a flaw in her character. That much, I don’t deny. Just having that flaw, though, doesn’t make her a Mary Sue. I think “Star Wars: The Last Jedi” did a lot to help distance her from that label. It did so by having her make a few bad judgment calls while also not winning her battles quite as easily. When you look at the sequence of events in that movie, she didn’t actually succeed in most of what she sought out to do. Most of the success in that movie came from others, namely Kylo Ren, Finn, and Poe Dameron. 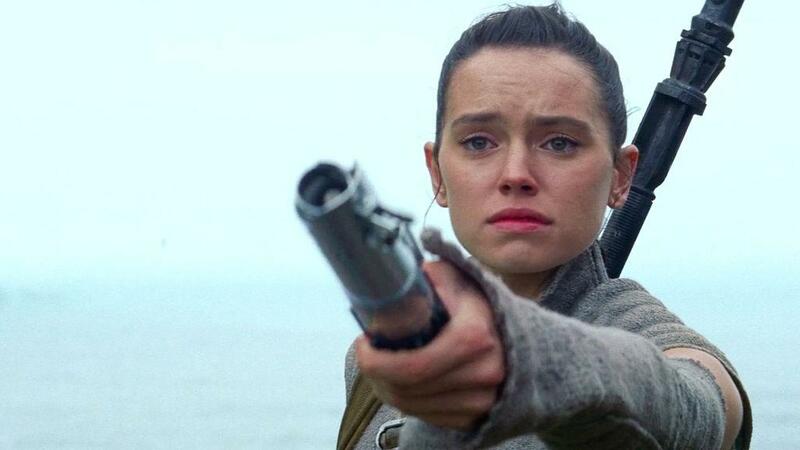 While I wouldn’t go so far as to say that Rey failed miserably in her efforts, I think “Star Wars: The Last Jedi” established that her skills have limits. She has all sorts of natural talent, but she doesn’t always apply it effectively. That’s not unusual for real and fictional characters. You could even make the argument that her missteps help really help to improve her likability. A Mary Sue is supposed to be sickeningly perfect and hopelessly ideal, so much so that there’s no need for a plot since they just fix everything with their charm. Rey isn’t like that in either movie. In fact, the final battle in “Star Wars: The Last Jedi” didn’t really involve her. More than anything else, her role really complemented all the others by the end of the movie. Now, I’m certain there are more than a few ardent “Star Wars” fans with X-wings tattooed on their chests who will claim I’m dead wrong. Those arguing that Rey is a Mary Sue have more than a few points to make and I don’t deny that some of those points are valid. I just don’t think they’re sufficient. Rey is a great character, but one with some obvious flaws. I would call her overpowered and over-skilled, but you could levy that criticism against other iconic characters like Superman, Wonder Woman, and even Batman. 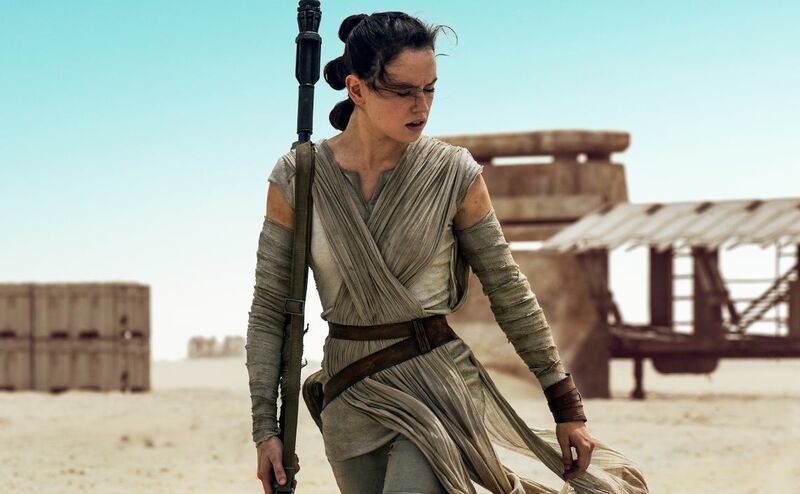 Unlike those iconic characters, though, Rey is very new to the cultural landscape and her story still has room to unfold, as director Rian Johnson has pointed out. I don’t doubt that debate over whether or not Rey is a Mary Sue will continue for quite some time. While I don’t think the next “Star Wars” movie will definitely resolve that, I’m of the opinion that it doesn’t have to be at this point. I think Rey has done enough to subvert this dreaded label. She’s still a great character with a number of conceptual flaws. I think she has a bright future in our culture. She’ll always have her critics, but all great characters do. It’s just a matter of how they navigate that criticism. Given the cultural weight “Star Wars” carries, I’d say she’s handled it much better than most non-Jar Jar characters could ever hope.